Races accepting record participants year after year, combined with fewer Kona slots per race, have all but dashed many a roll down dream. 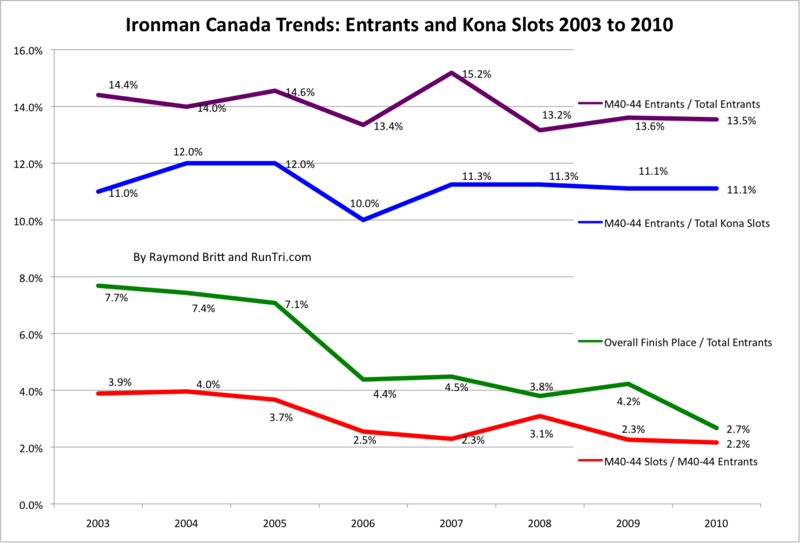 Let's look at a specific example, Ironman Canada, age group M40-44, from 2003 to 2010. More competitors, fewer slots, faster qualifying times, fewer roll downs. 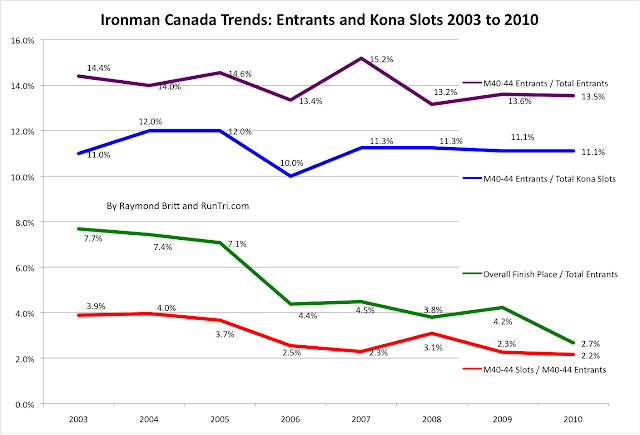 Participants in the M40-44 division have increased by 35%, while the number of slots has decreased from11 to 12 in 2003 and 2004 to 8 in 2010. Kona qualifying times in M40-44 have decreased from 10:09 to 9:45. 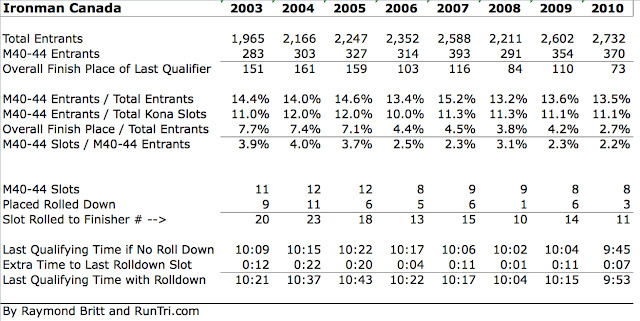 In 2003, the last Kona slot rolled down to the 20th age group finisher. In 2010, the last slot only rolled down to 11th place.